When the user enters this page, he/she will see a green suaropod (long necked) standing in the middle of the page, and two buttons of both top corners of the page. These buttons are science test tube and holy bible. When the user click on each button, it will play a short animation of the theory of each. 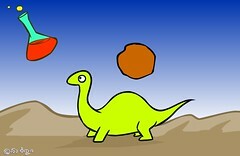 Animation : The giant comet would attack the world and that killed the dinosaur. This is what scientists believe. 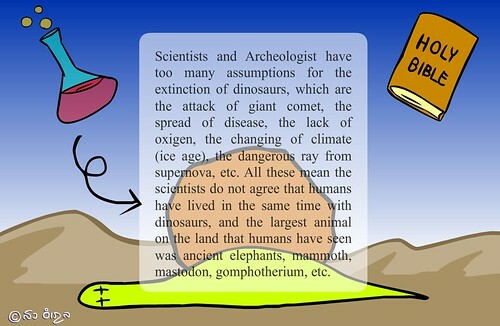 Description : Scientists and Archeologist have too many assumptions for the extinction of dinosaurs, which are the attack of giant comet, the spread of disease, the lack of oxigen, the changing of climate (ice age), the dangerous ray from supernova, etc. All these mean the scientists do not agree that humans have lived in the same time with dinosaurs, and the largest animal on the land that humans have seen was ancient elephants, mammoth, mastodon, gomphotherium, etc. 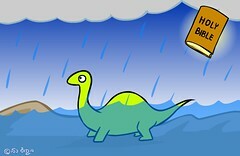 Animation : The rain caused the great flood, and the dinosaur died in the flood. Then, the Noah’s ask came, and all today animals were on it. Description : While scientists and archeologists keep changing their theory, Bible still says the same thing. 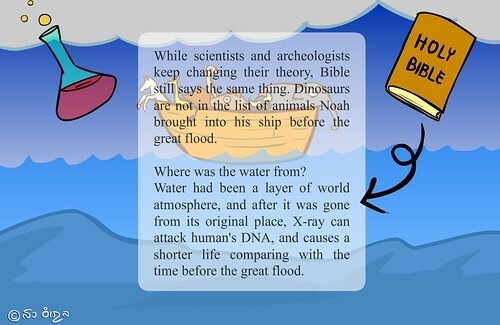 Dinosaurs are not in the list of animals Noah brought into his ship before the great flood. Where was the water from? 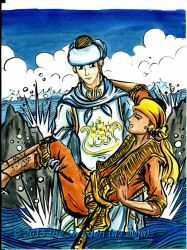 Water had been a layer of world atmosphere, and after it was gone from its original place, X-ray can attack human’s DNA, and causes a shorter life comparing with the time before the great flood. I think you know me, I like this 13econ1216, That’s a nice post. May be u can go this way follow us.